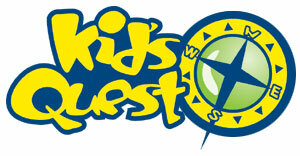 Kid's Quest is for ages 3 years through 4th grade, and is offered during both services. Our mission is to supplement the family in reaching kids to help them become fully devoted followers of Jesus. The Bible will be taught through age-appropriate music, drama, puppets, video, and group interactions. After the worship portion of the service, children ages 3 - 5 years will be dismmissed to Room 119 and children 5 years through 4th grade will be dismissed to go to Room 101.